Nestled on the southeast corner of Fort Collins, Timnath was founded in 1882 and began as a small agricultural and farming community. Over the years, the town has nurtured some of our favorite local businesses and has recently developed into one of the region’s most booming communities. Originally, the draw was is proximity to the Cache la Poudre River and the fertile land that afforded. Over the years, as larger communities developed around it, Timnath became the central small town between Fort Collins, Loveland and Greeley. In short, it’s the perfect community for people who want to get away, but not too far away. In recent years, the town and its residents have committed to Timnath’s distinct character and have begun efforts to expand the town, the neighborhoods and the amenities, making it one of Northern Colorado’s most promising places to live. Want the details? Keep reading. The Town of Timnath is growing, and it’s not only because more people have discovered this amazing community. Much of the town’s recent growth has actually come from the town officials and the residents themselves who have developed a mission to preserve Timnath and not be absorbed into its surrounding communities. Within the last decade, Timnath was just the size of a small neighborhood on the outskirts of the bustling city of Fort Collins. Then, residents chose to proactively plan for people and families looking for a genuine small town that had access to I-25, CSU, Budweiser Events Center, Centerra Mall and other regional amenities. But this mission included—and still includes—preserving Timnath’s historic core, good schools and friendly neighbors. According to the Town of Timnath, Timnath will grow 27 square miles and add 20,000 new residents within the next 20 years. And this growth is being built around the area’s historic farms, transforming undeveloped areas into vibrant neighborhoods still connected to the land, the views, the open spaces and the trails. 2. Local businesses are moving in. Alongside the businesses like Fine & Funky that have been here forever, new businesses are moving into Timnath—especially Old Town. 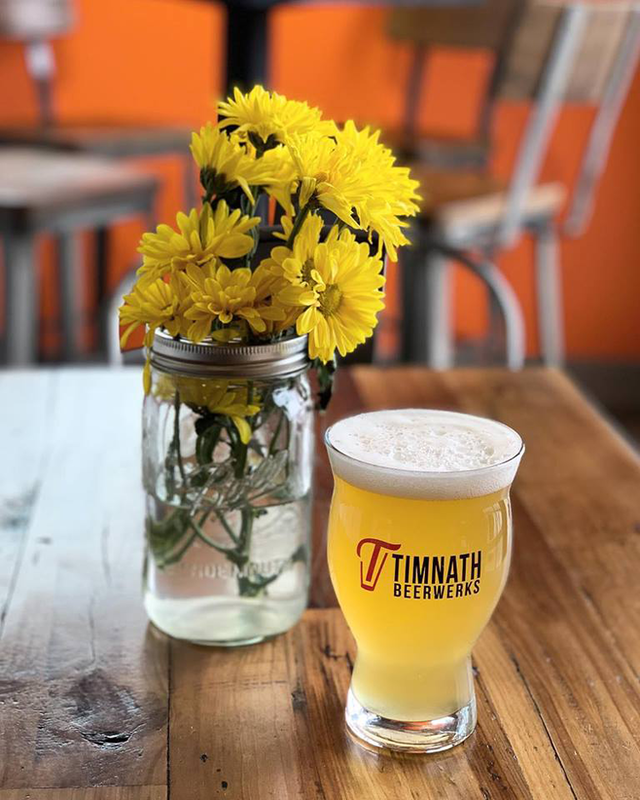 The most recent and notable are Emily Rose Floral Design, Timnath Beerwerks which brought the town its first craft brewery and Colorado Feed & Grain Public Market & Coffee House which you can learn more about below! Looking ahead, The Plaza at Riverbend is currently under development in Timnath which will bring the town a huge, mixed-use retail center home to brand new retail, office and restaurant spaces. Located right here in this small town, The Plaza at Riverbend is one of the region’s most significant and impactful new developments. 3. Four words: Colorado Feed & Grain. Originally built in 1920 in Old Town Timnath as a grain elevator, Colorado Feed & Grain is a landmark and cultural centerpiece of Northern Colorado. Throughout its century of life, CF&G has served various functions, but when the Colorado Feed & Grain Public Market & Coffee House opened in August 2018, it once again became the hub for local commerce in Timnath. As a public market cooperative, CF&G is now home to Main Street Market, Feed & Grounds Coffee Station, Timnath Beerwerks and The Workhouse Meeting Hub. In addition to offering goods, drinks, products and a private event venue, the building hosts gallery exhibitions, art classes, pop-up markets and a seasonal summer market. 4. The housing market is booming. Because of its extreme proximity to Fort Collins, housing statistics in Timnath are often presented together with Fort Collins and Wellington. Looking at this larger group, dollar values and home sale prices have been on a steady rise for the past five years. In 2018 alone, dollar value jumped up 3% and average sales price jumped 8%. Looking at Timnath on its own, the average sales price in 2018 was $610,028 and we’re predicting a 1% rise in 2019. The driving factors in Timnath’s growth include reasons in both lifestyle and housing development. With the town’s commitment to increasing both square mileage and population, entire neighborhoods are being constructed into vibrant and beautiful places to live. In 2017 and 2018 together, 581 residential building permits were given and 469 of those were for single-family homes. Want to see the ones that are currently available? Click here. 5. New developments are building gorgeous homes. Timnath is defined by landmarks like Colorado Feed & Grain and has a history driven by agriculture, so modern farmhouse design fits right in. And because the community and the housing market are welcoming so many new developments, this trendy and cozy design can be found in many of Timnath’s new and renovated houses. 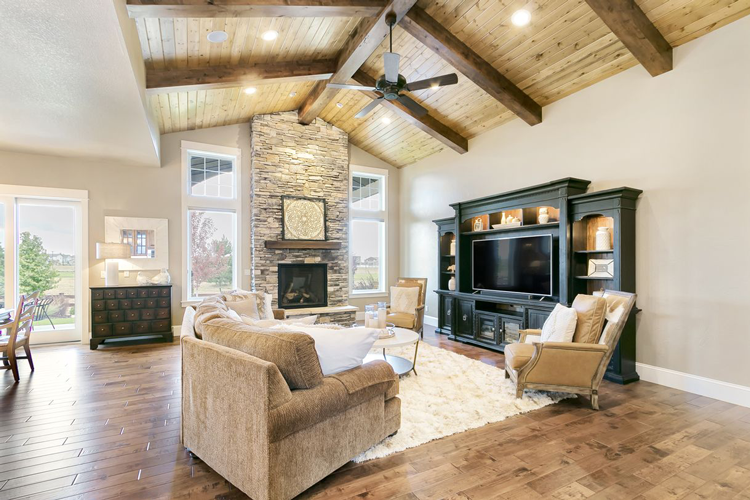 Paired with the mountain and lodge-inspired designs we love along the Front Range, these new homes feature some of the region’s most stunning interiors and exteriors that you won’t find anywhere else. Want to see them for yourself? Click here to check out homes available in Timnath right now. 6. This town celebrates all year long. The Town of Timnath celebrates its residents, its history and its culture through some of our favorite events in the region. The long list includes the Taste in Timnath Fall Festival & 5K, an amazing 4th of July Celebration, the Summer All Town BBQ and multiple free, summer series and markets. To see the whole list of community happenings, click here. 7. Outdoor recreation is easily accessible. In addition to several open spaces, trails and recreation opportunities within the town limits, Timnath is directly adjacent to Arapaho Bend Natural Area in Fort Collins which offers four miles of trail and is home to more than 80 species of wildlife. And minutes from the heart of Old Town, you can find year-round recreation and fun at Timnath Public Open Space which is home to Timnath Reservoir. Available to Timnath residents and their guests only, the most popular activities at the reservoir are available during the summer: boating, fishing, swimming and picnicking. Looking for even more outdoor opportunities? Head to Harmony Club. 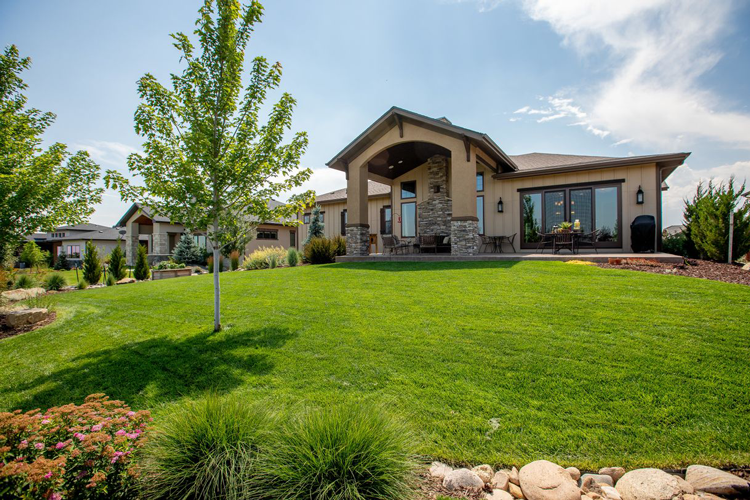 Located right here in Timnath and home to some of the area’s most beautiful estates, this private golf club was designed by renowned golf course architect Jim Engh. The grounds also offer a resort-style pool, a high-tech fitness center, open-air courts for tennis, pickleball and basketball, an event pavilion and so much more. 8. The location is ideal. Timnath was developed along the Cache la Poudre River and now hugs the southeast corner of Fort Collins. Because of this, living in Timnath offers all the amenities of the city with extremely short commute times. For example, Harmony Gardens is located just on the opposite side of I-25 and further down Harmony Rd, you’ll find the Banner Fort Collins Medical Center, UCHealth, Front Range Village and Harmony Commons. All of these listed destinations are within ten minutes drive from Timnath! Traveling somewhere outside of Fort Collins? 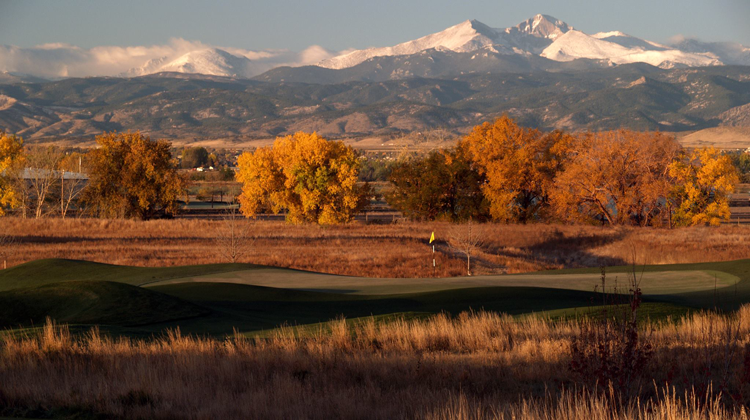 Timnath is just 20 minutes from Loveland, 15 minutes from Windsor and 35 minutes from Greeley. Looking for more information on Timnath? You can find current housing market statistics, search homes available right now, and learn more about the community here.